Alternative Armies: HOF114 Doomed Reich Shamblers by Craig Armstrong released! HOF114 Doomed Reich Shamblers by Craig Armstrong released! We have a new pack of 15mm scale science fiction or weird war two or horror miniatures now on the website added to the mighty HOF Range. There are over one hundred codes in the HOF Range which cover a wide array of creatures, humans and aliens. The Doomed Reich Shamblers are zombies for your characters to fight against in skirmish or battle games. Go HERE or read on for more. Collapsing in ruins, dominated by insanity and the domain of strange science and occult wizardry the Doomed Reich is a place where the dead now walk. 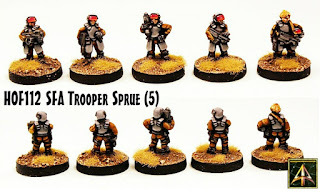 This code contains ten mixed one piece miniatures in four different 15mm poses in white metal. These miniatures are unarmed and in shambling poses arms out or loose by their sides. Three soldiers and one low rank officer. 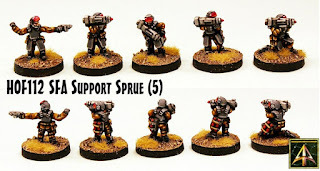 They are supplied unpainted and without bases. Sculpted by Craig Armstrong who also created the new Gore Worm. 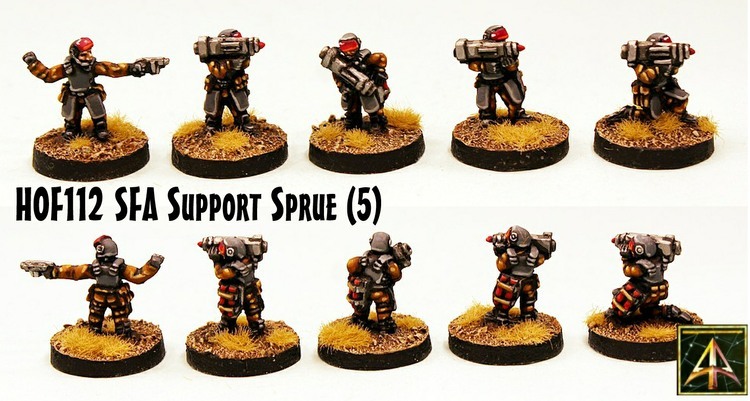 You can purchase a pack or choose single miniatures in any quantity too. Price 5.00GBP. Go HERE. Check out the EH04 Gore Worm too. There are over one hundred different codes in the Hordes of the Future (HOF) 15mm science fiction range at Alternative Armies. It has grown steadily over the years and you can browse it HERE. Have a look through diverse sub-ranges such as Security Force Alpha (SFA), Grey Aliens, Automata Robots, Zidhe Space Elves, Octopod Aliens, Rim Mercenaries, Cultists, Corporate Ashigaru, Post Apocalyptic Warriors as well as Galactic Knights, Droids, Robots, Draccians, Triorbs and much more. Infantry, Support, Command, Bikes, Vehicles. Excellent stuff and you can get packs or singles from packs at a great price. We are in the 'March to War' event just now at Alternative Armies and this lasts until 16th April. 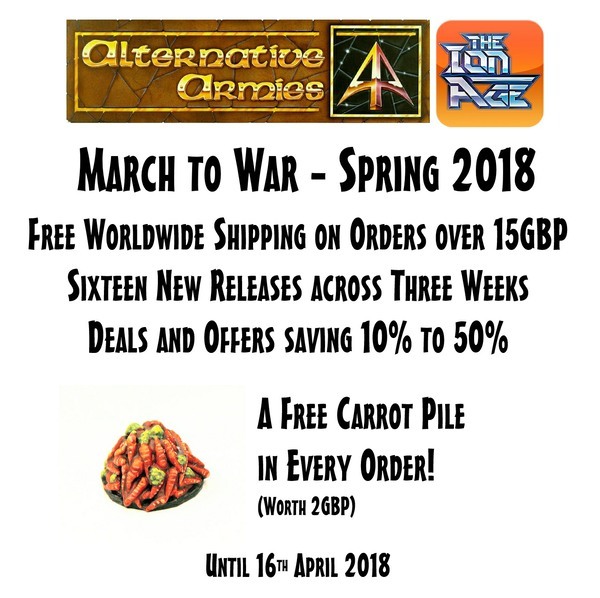 Free Worldwide Shipping, Free Carrot Heap and thirteen new releases all in this event period. Spent 15GBP or more and you get your package post free. Read full details on our blog HERE. 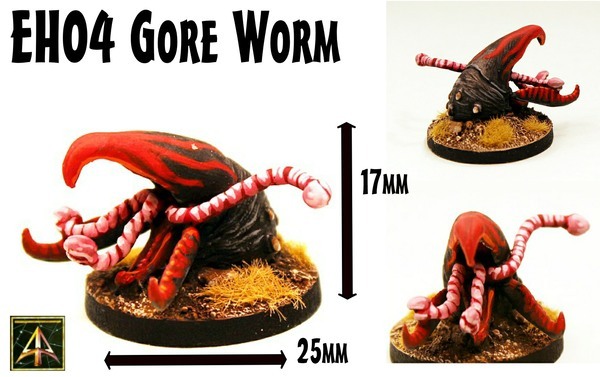 EH04 Gore Worm by Craig Armstrong released!